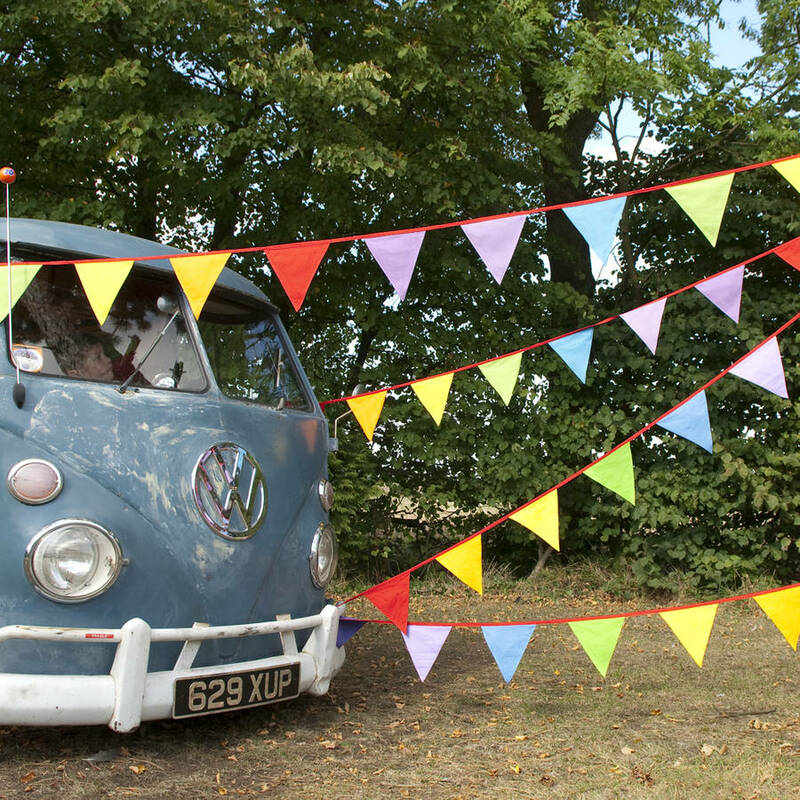 Our all-time favourite bunting, in the colours of the rainbow! Choose from 5, 10 or 25 metre lengths. 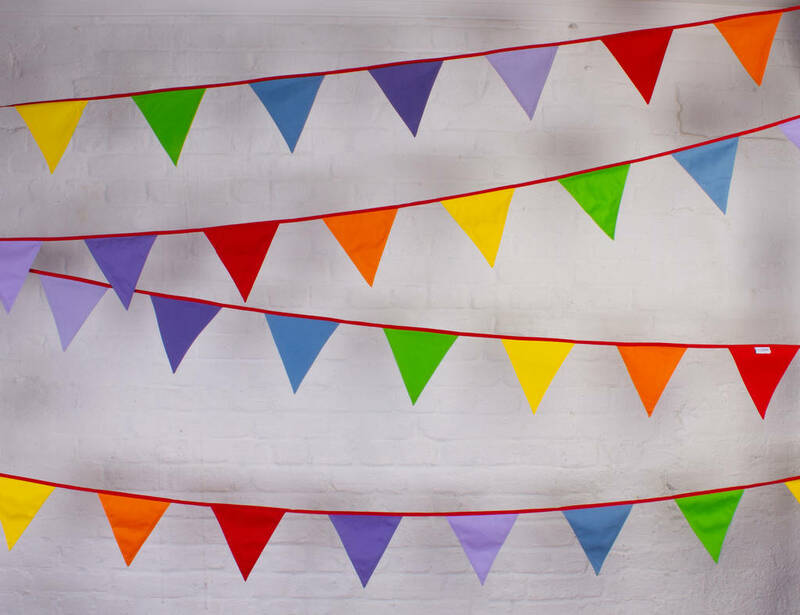 With its bright, colourfull pennants, this bunting is perfect for parties, barbeques, gardens, weddings, corporate events, and showrooms - in fact anywhere that you want to liven up! It's bright, breezy and bold - and everyone will love it! It's appeared in countless TV shows and adverts, and continues to be a favourite amongst interior designers and stylists across the UK. Beautifully finished so it won't fray and will look great for years to come. Available in 5, 10 or 25 metre lengths. Each comes with tying length at each end to join lengths together if needed. 100% cotton. 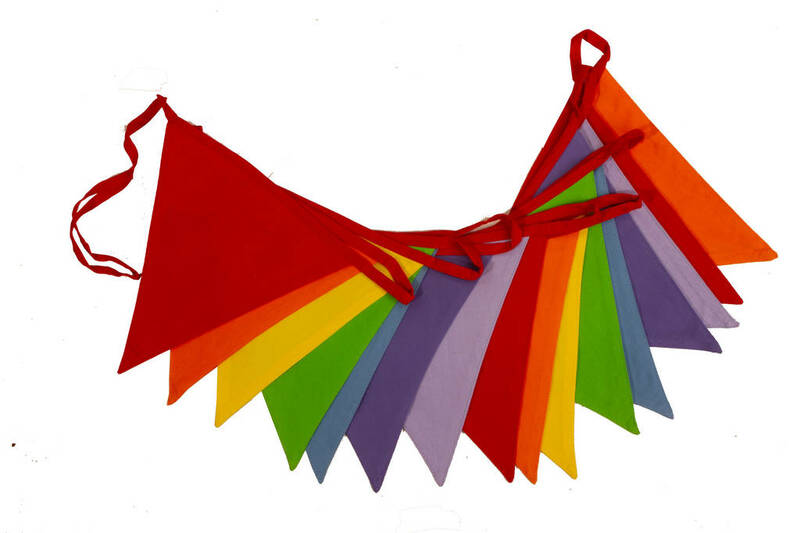 16 double-sided flags (two pieces of cotton sewn together) per 5 metres in red, yellow, green, blue, violet, lilac, and orange, on a red cotton line. Machine washable. Can be used indoors and out (though will fade and deteriorate if left outside continuously). Hang out of reach of children. 5, 10 or 25 metres. Each flag is 19 x 20cm. 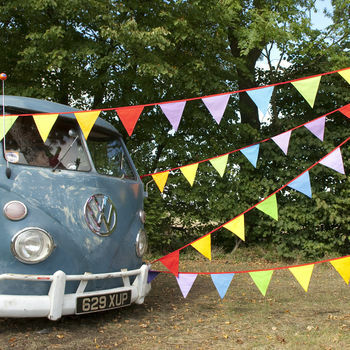 This product is dispatched to you by The Cotton Bunting Company.